New Delhi : The Telecom Regulatory Authority of India (TRAI) on Friday has drafted an amendment to the Telecommunication Tariff Order, 1999 in which it has proposed a drastic cut in the ceiling tariffs for the National roaming services like STD rates by 35% and SMS by 80%. This proposal is pending approval based on opinion and views from its stakeholders and should be finalized by March 13, 2015. 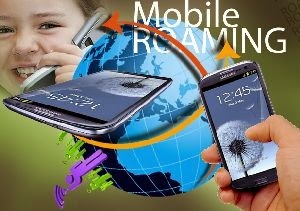 "We are still assessing the impact of this (roaming) tariff cut. Even though roaming constitutes less than 8% of the total mobile industry revenue, the government seems to be just chipping all sources of revenue to the operators," Rajan Mathews, director general of the GSM industry body, COAI said. The industry generates some Rs 8,000 crore from roaming charges. National roaming service is the facility provided to a subscriber to avail services subscribed in its home network, while travelling outside the geographical coverage area of the home network, by means of using a visited network. As per the existing framework for telecom access services, the country has been divided into 22 licensed service areas. Licenses are issued separately for each licensed service area. When a subscriber avails mobile services outside his home network, within the country, national roaming becomes applicable.